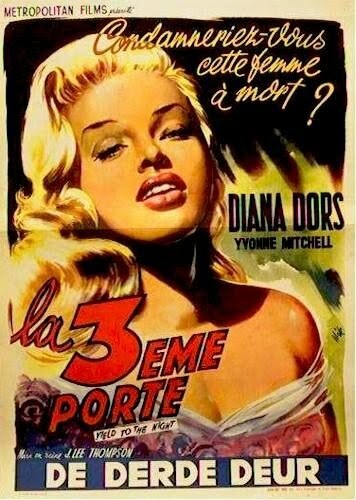 One of the great things about vintage movie posters is you come across actors and actresses that you never knew existed — for example, take British bombshell, Diana Dors. Considered by many to be England’s answer to Marilyn Monroe, Dors was boffo at the British box office — but her career across the pond never fully took flight (mainly due to an over-controlling first husband and other Hollywood politics, I’m sure). She passed away in 1984 at the age of 52. 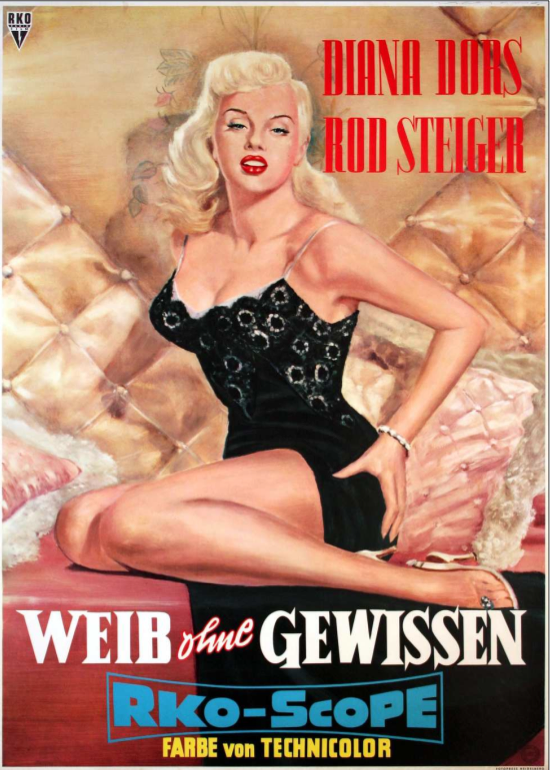 Regardless, even if you haven’t seen any of her films, the posters and titles alone are entertaining — Blonde Sinner, The Unholy Wife, Tread Softly Stranger, and Passport to Shame, to name a few. 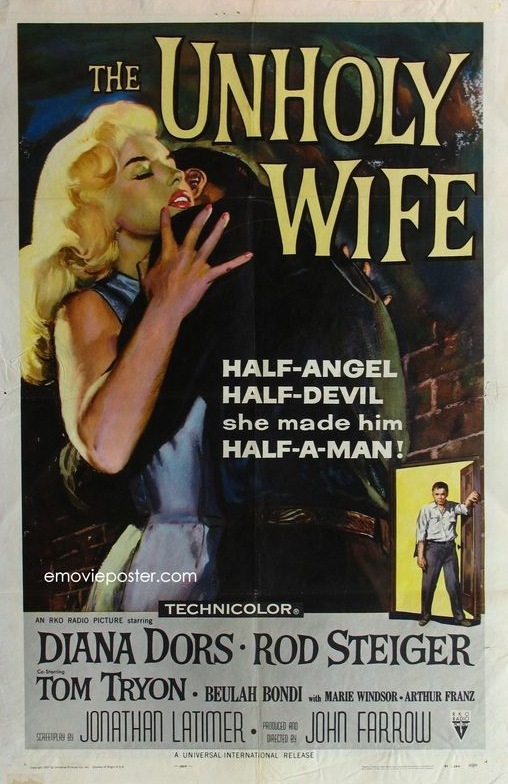 And if Ms. Dors was good enough for the late great Richard Dawson (her second hubby, the kissy-kissy host of Family Feud and The Running Man), then she’s good enough for me! 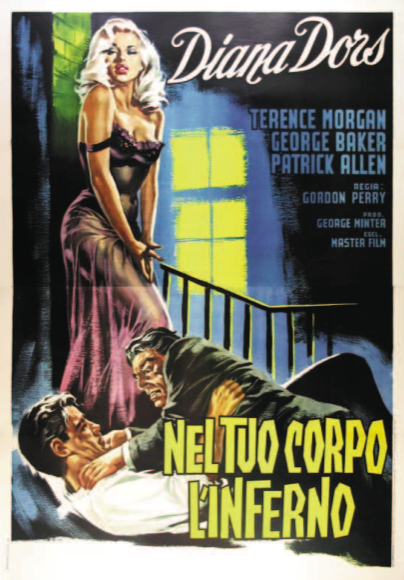 This entry was posted in 1950s posters, 1960s posters, Film Noir, Italian movie posters, Romance movie posters and tagged blonde sinner, diana dors, italian poster, marilyn monroe, posters, richard dawson, tread softly stranger, unholy wife by russ. Bookmark the permalink.